Post Thumbnails better known as featured images undoubtedly are a popular feature that each blogger adores to obtain in his Blogger Template. Today almost all of the quality Blogger templates supports functionality to adopt post thumbnail itself. Many popular templates sharing sites pre installed this feature in their templates. 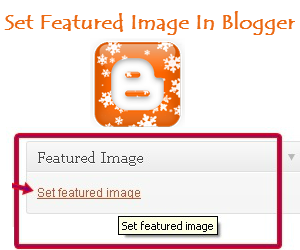 However, many new developers and also users don’t possess any idea how to setup a featured image in Blogger. Thus, in this short article, we are providing a method to successfully display an featured post image thumbnail in blogger. So lets start the tutorial. 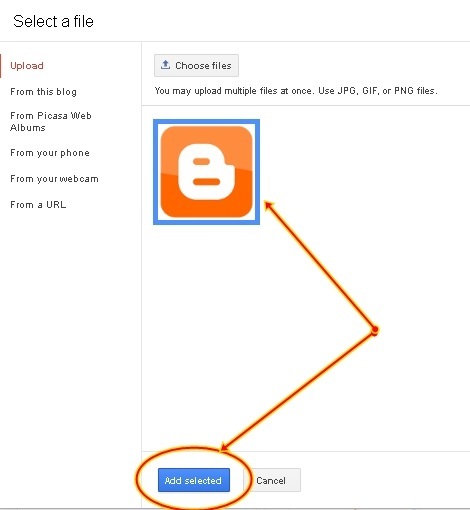 Take your mouse pointer on the beginning of your blog post & upload a photo.For better Understand see the below picture. Now upload your Thumbnail Image, click on it and Click On Add Selected as appears in below screenshot. Now Adjust the Image according your needs inside the post. How to Disable Copy Paste In Blogger Blog? How to Setup Free .Tk Domain as Custom Domain for Blogger?